Malala: Shot For The Right Of Education, Apple Sauce Bran Muffins, and The Perfect Outfit for an Interior Designer. The sights and sounds of the Las Vegas strip – thousands of people milling about, smoke in the air, the ping ping of the slot machines, a whiff of some chef’s tasty food, the pungent taste of tequila at the bottom of my margarita, a warm hot wind that does not cool you down, the slap of flip flops down the street, a sense of peace sitting by the pool, the rush of euphoria when you see that magic word ‘sale’ at Victoria Secret. These are all sensations I have come to admire for the week I get to spend in Las Vegas every couple years. Sensations by the end of the week I am sick of, but at the beginning and middle I crave. 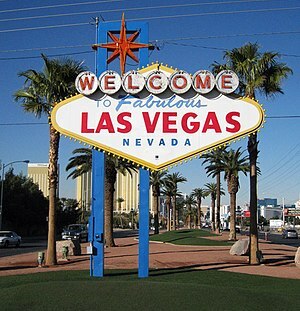 I love Las Vegas despite its tawdry side, there is a kind of excitement in Vegas different from anywhere else. This particular trip to Vegas I spent exploring the strip with my parents. We stayed at Treasure Island, had transfers to and from the airport and hotel, and had suprisingly affordable food around us due to coupons and Half Price Ticket Booth deals. This is trip number four for me to Las Vegas and although I liked Treasure Island, its relative size, and location on the strip well enough, for a Vegas hotel it’s nothing special. But the bed’s were comfy, the rooms were clean, the view was nice, and we did not have to walk a mile through the hotel to get to our room (such as in the Venetian). The Venetian has much more laviciously decorated and spacious hotel rooms, but all in all – I was happy at Treasure Island. It was what I expected – and close to the Fashion Show Mall, The Forum Shops at Caesar’s, and the shops in the Venetian, all vital shopping areas for any Las Vegas tourist. And yes I did save money so I could go all out shopping in Las Vegas. My mom and I spent a portion of 4 out of 5 days in the above mentioned shopping areas and we never even made it to the Premium Outlets which are also a great place to shop. There were a lot of sales going on at this time of year and my mom and I found a variety of sale and regular priced items in Banana Republic, Anne Taylor, Loft, Ninewest, Clarks, Victoria Secret, Lululemon, and some other athletic footwear company. My favorite purchase was a clip from a little booth that will hold all my thick blond hair up in a french twist – an amazing feat my hair is really hard to pin up. My second favorite purchase were bras at Victoria Secret because you see they actually carry my size in the US locations, as opposed to the Canadian locations. My favorite purchase my mom made was this cream peplum lacey top from Banana Republic, she looks gorgeous in it. Other than the shopping, which I obviously enjoyed to much, we saw the show Love, a Cirque de Soleil show at the Mirage that expressed the Beatles music. It was amazing, the lights, the dancers, the acrobats, the props, and the way they worked conversations from the real Beatles into the performance was fantastic. There were lights, smoke, dry ice, and an amazing scene with a large floating white fabric. Now that I have arrived home I went on Itunes and downloaded some of my favorite Beatles songs on to Itunes including – All You Need is Love, Hey Jude, I Want to Hold Your Hand, and Help. I was of course inspired by the show and highly recommend this Cirque de Soleil production. As not of high of quality, but still quite funny was the dinner theatre Tony and Tina’s Wedding. The italian mean was decent. the actors hilarious, the story a little weak, but still a good time. Not as good as the first time I saw it 6 years ago but still fun. On a sad note, to all you Vegas travellers, October I believe is the last month for the Phantom of the Opera at the Venetian. I have seen it twice there and it is amazing, had I had more time I would have loved to see it again, but I can’t wait to see what amazing show they replace The Phantom with. The rest of the time my parents and I spent walking around the strip, relaxing in our rooms and in the morning by the pool, playing the slots, and attending some of the other things going on the strip including The Pirate Show at Treasure Island – which by the way, is no longer child appropriate due to the “Siren’s” or strippers large role in the show, this didn’t used to be. But we also saw a Claude Monet expedition at the Belagio as well as this other artist who sculpts Cirque de Soleil actors. The only thing I missed doing which I suppose would be next time I go with friends was a visit to to one or two of the clubs in some of the Hotels. Particularly, one I liked was Tryst at the Wynn, an expensive and Oriental themed hotel, which has a waterfall feature right in the club. I would also like to stay at the Wynn it was nice and quiet but of course expensive.